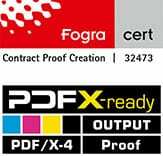 Proof GmbH has now even more attractive shipping terms for domestic and international shipping. In addition, proofs can now be sent via Express and standard shipping worldwide. Throughout Germany shipping costs for packages from Proof A3 were reduced to only 9,-€. Please note: Express delivery and standard delivery to countries in located in different shipping zones. So the standard shipping in the US through DHL is nearly as “expensive”, as the express delivery. So express delivery for only 10 Euro more certainly is the more attractive option for time-critical goods such proofs. Proof.de has introduced new packaging for proofs up to DIN A4+ and from A3. The new A4+ packaging are made of high quality Chromosulfatcardboard with 450gr/m² weight and provided with a pull tab. They can be fitted on the front either with an adress label and postage stamp or for express shipments with a DHL Express label, as shown in the picture below. For shipping abroad we use to send via world letter large with registered mail, which is now directly printed as an adress label with stamp. The new cardboard shipping sleeves are slightly slimmer than before and also provided with a comfortable pull-tab. The new address labels are easy to recognize as of Proof.de. For the different formats between Proof DIN A3 and DIN A0 + they are available in various lengths and are each used appropriately according Proof size. 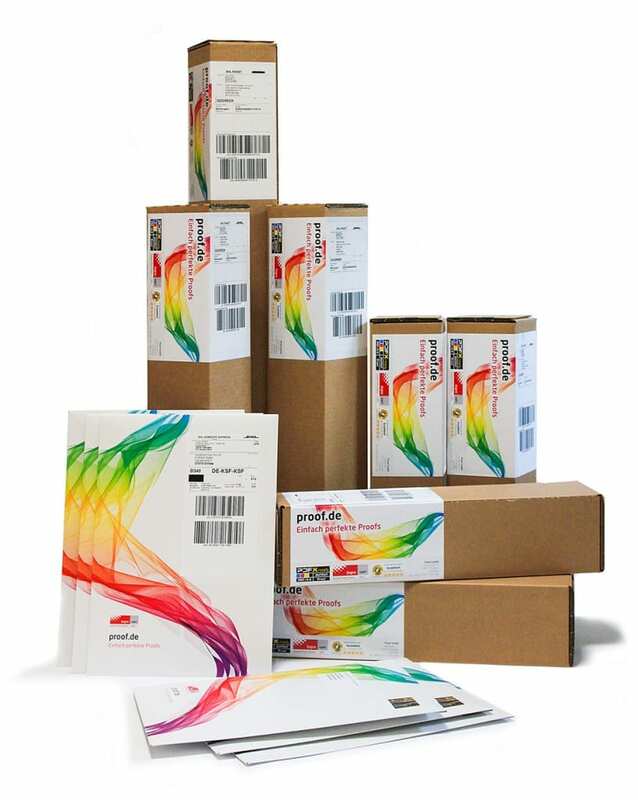 They are used with DHL shipping labels for the standard shipping and express delivery.